Planning a party can seem like a stressful endeavor. Whether you’re throwing a 50th-anniversary celebration or a graduation party, it’s important that you start planning as soon as possible. Northern Virginia is a bustling area, and you might think you have your pick of professional DJ’s to provide entertainment for your event. However, not all DJ’s are created equal. Learn how to choose the best one with the following tips! Start your search with three to five possible companies. Contact each one and immediately ask for reference letters. A reputable, professional DJ should be able to provide you with two (if not several) positive references from satisfied customers. If a company isn’t able to give you a reference, cross them off your list. Ask the potential DJ if he or she caters to each client or if they play the same music for each event. The best DJ understands that every party is different, and each event requires a specific tone and music selection. If the DJ says that they only play their specific playlist, cross them off your list. It’s important to work with a flexible company that can work with you to meet your needs. Most likely, you’re choosing to hire a DJ because you want your guests to dance and have a great time. 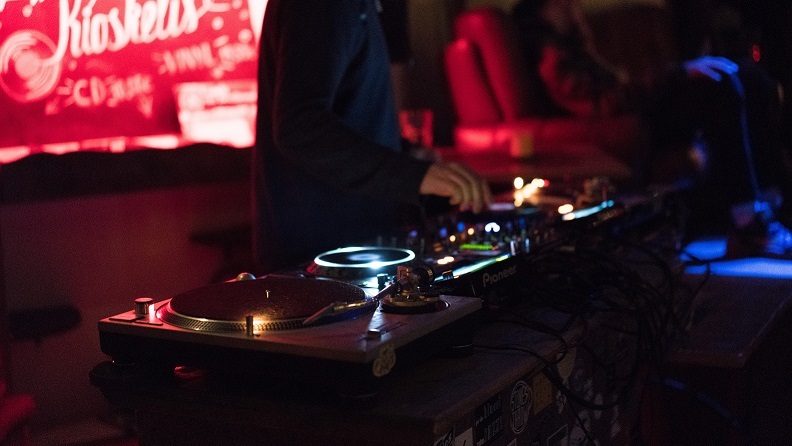 Ask your DJ candidates how they plan to turn on the fun at your event. Do they have a certain song they like to play to get guests moving and dancing? Do they read the crowd and blend music genres to accommodate different tastes? Chances are your party is filled with guests of different ages and interests, so it’s important to hire a DJ that has an understanding of many different music types. Are you planning an event in Virginia, Washington, D.C., or beyond? Call Raptor Productions! Our team of professional DJ’s will work with you to ensure that your event is everything you pictured. We have years of experience with weddings, schools dances, and a variety of private parties. Are you ready to plan the party of a lifetime? Raptor Productions can help.